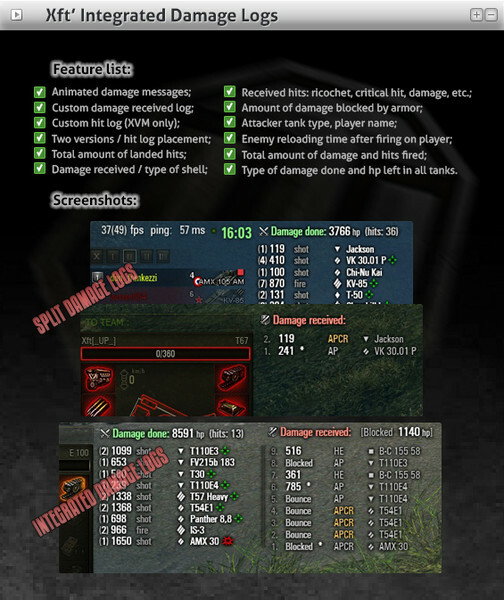 Xft DamagePanel for World of Tanks 0.9.14 by Xft. Very beautiful and informative DamagePanel + integrated hitlog. — Type of damage done and hp left in all enemy tanks. Default damage panel + log + Sounds modification by GambitER vdamageLog 0.3.1 by GambitER-English Light – Here is the version whit just the Log.